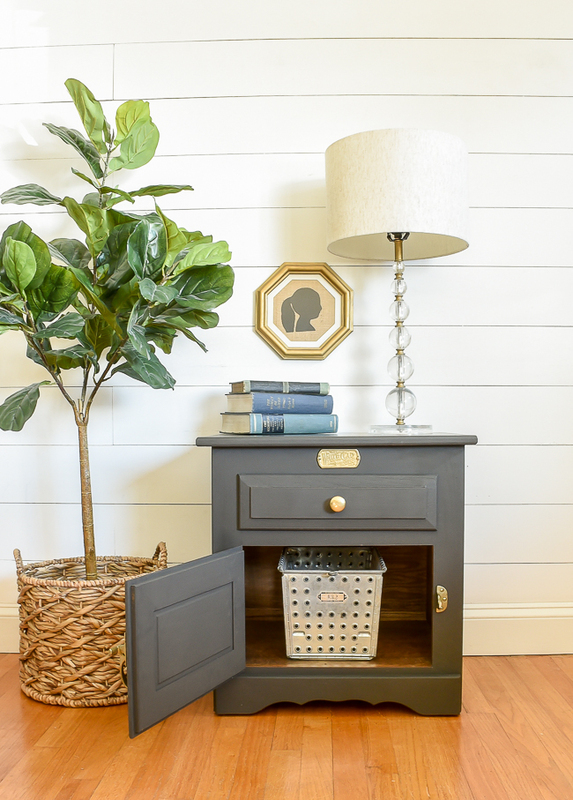 A boring oak White Clad side table gets a new look with a fresh coat of dark gray paint. 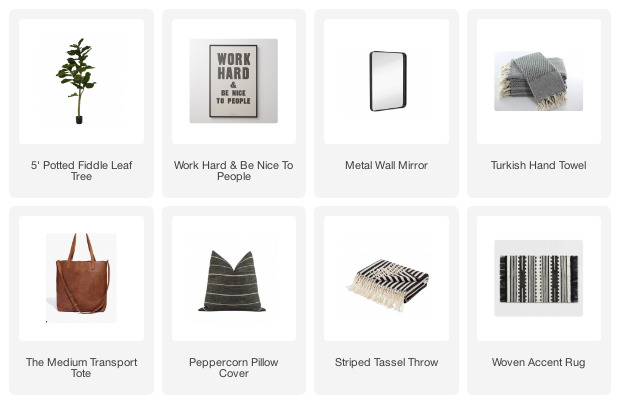 Many of you know that I left my full time job in December to focus on my blog and pursue my love of DIY and decor. I had been working full time at my day job then another 3-4 hours every night on the blog and I was exhausted. 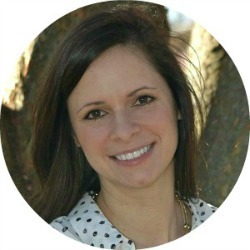 Something had to give, so with the support of my husband I took a huge leap of faith and left my job in December of 2017. "WHEN ONE DOOR CLOSES ANOTHER DOOR OPENS"
I have always wanted to have a booth at a local vintage market, but the timing never felt right. I was blogging, working full time, my kids were young and the thought of adding another "job" to my already hectic schedule was completely out of the question. That all changed in December. I not only had more time to focus on my blog, but more importantly I had more flexibility in my schedule to pursue other amazing opportunities. Who knew that opportunity would come in the form of my friend Cassie from Cassie Bustamante. 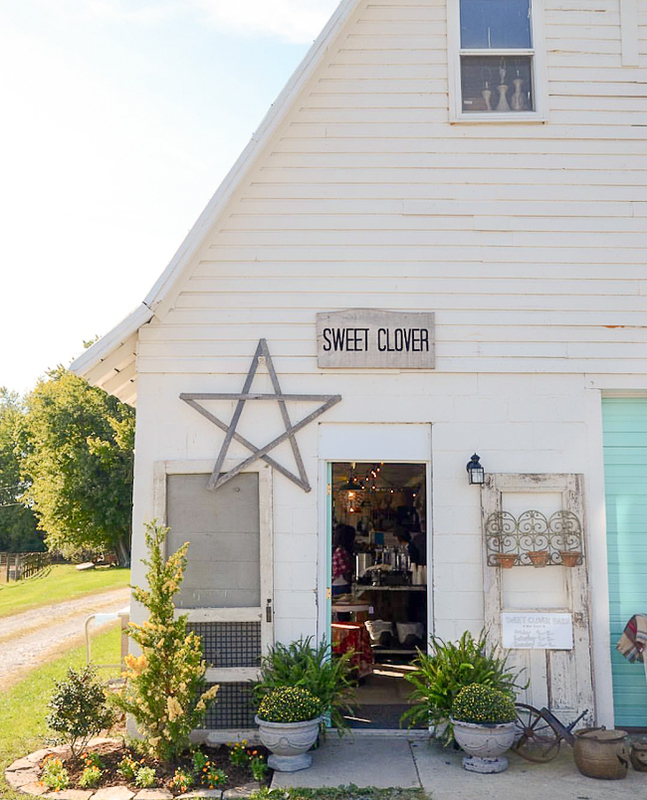 She is a vendor at Sweet Clover Barn and was looking for a partner to help her in her booth. It was like it was meant to be. After chatting a bit I decided to join her (okay, she decided to have me, ha) in her booth at Sweet Clover. 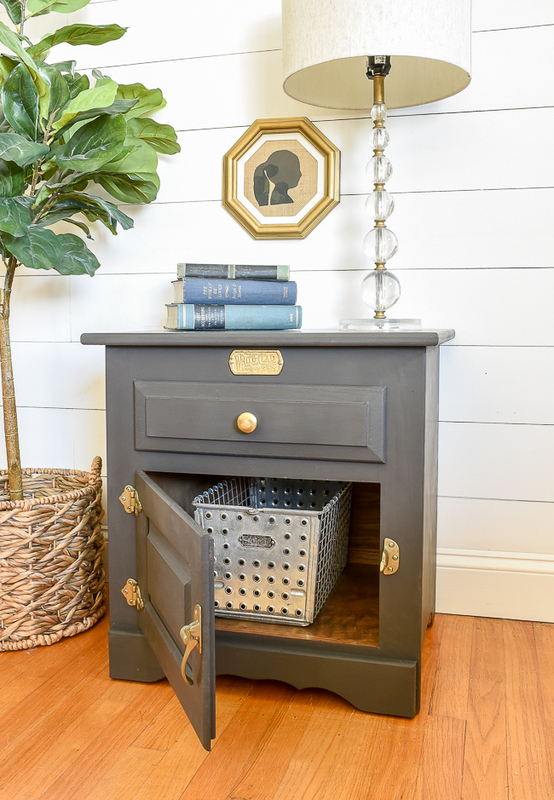 Starting May, I'll be sharing furniture makeovers and vintage finds during their once a month tag sale. I'm super excited to have another reason to hunt for deals, hit up local yard sales, redo furniture and share my love of DIY and design. What does this mean for the blog? 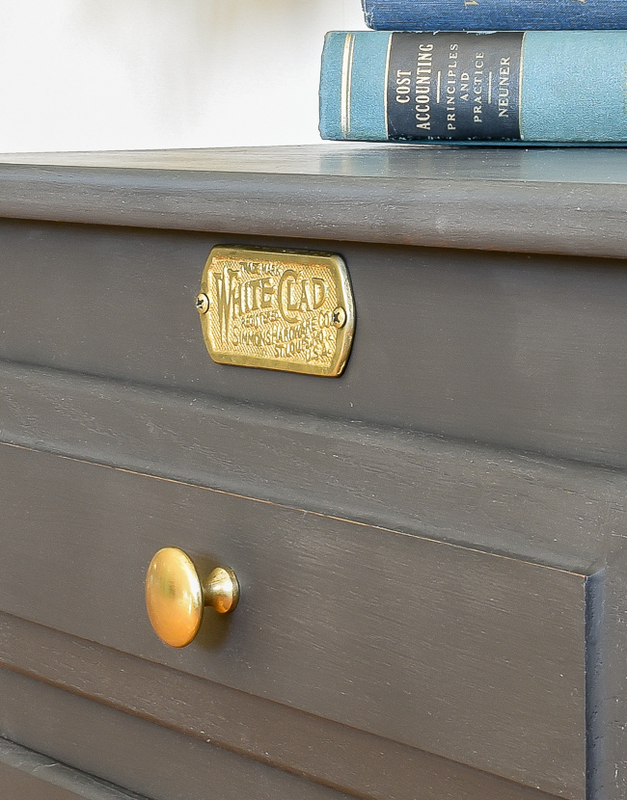 Nothing will change, except that I'll be sharing more furniture makeovers and maybe an occasional thrift store haul. Once a month, I'll also take you on a tour of our space styled and filled for the tag sale. 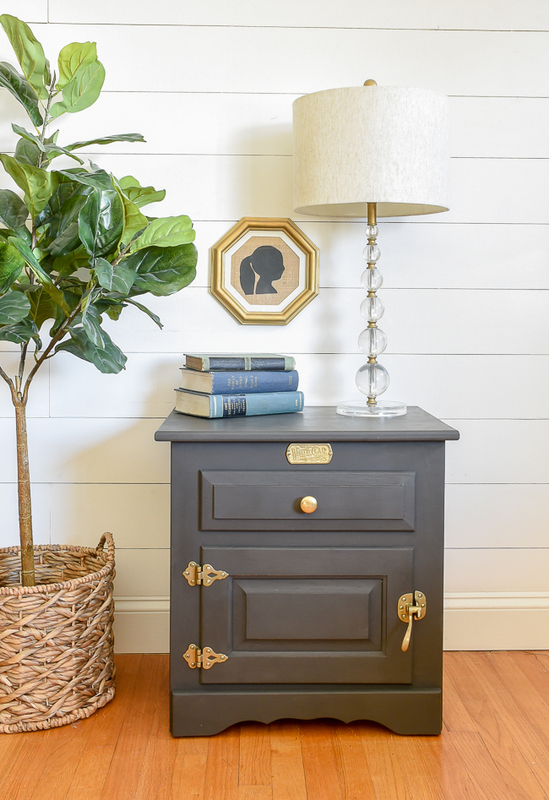 That leads me to my very first furniture makeover for Sweet Clover! It's not often that you find a pair of matching side tables in good condition, so when I saw two solid oak White Clad tables at Goodwill I snatched them up. The top of one of the tables was a little damaged, so leaving them as is wasn't an option. I removed the hardware then gave both tables a good sanding using my Corner Cat hand sander. I wiped them off with a damp rag then used a tack cloth to ensure they were clean of dust before applying paint. 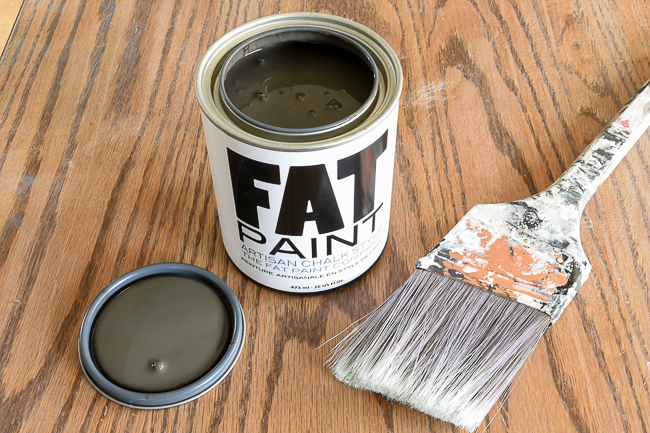 I love the combination of dark gray and gold, so I went with Cast Iron from The Fat Paint Company. I applied two coats then sealed the paint with Annie Sloan clear wax. 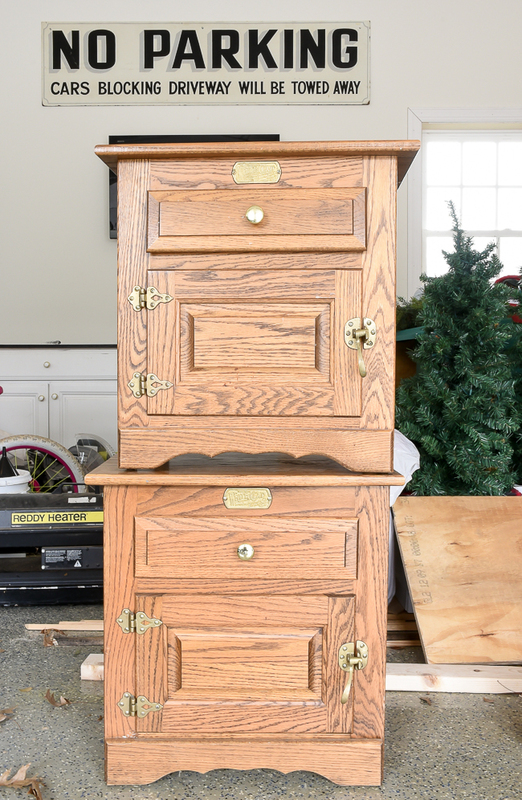 The knobs on the drawers were a little too shiny for my taste, so I added a bit of Gold Leaf Rub 'n Buff before putting them back on the tables with the rest of the original hardware. Just look at the difference a little paint makes. 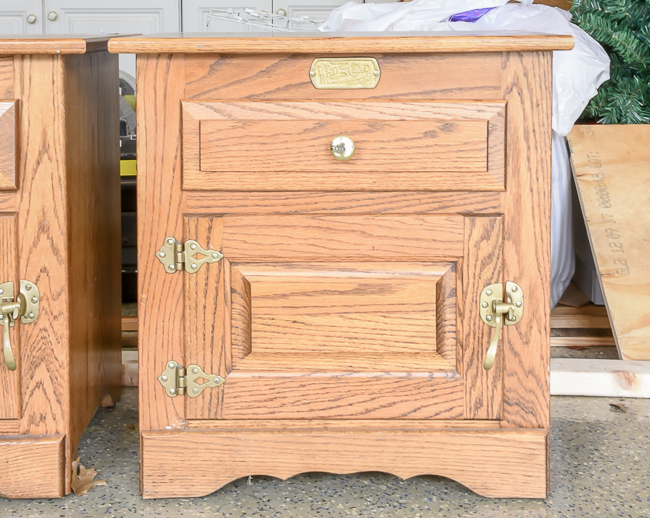 Both side tables are identical and will be going to Sweet Clover for the May 11-13th sale. If you are local to Frederick, Maryland I'd love for you to stop by and say hi! WOOHOO!!!!! these are gorgeous and this is going to be AWESOME! I love them! You did a wonderful job. Congratulations on the booth! I just retired from teaching in June and took a giant Leap of Faith by starting a booth. I actually named my booth Leap of Faith. It's been great and I'm sure it will be for you too. Yay! Super excited for you AND Cassie! I am always so excited to see your email and follow what you do. Looking forward to Your new adventure! Loving that gray! 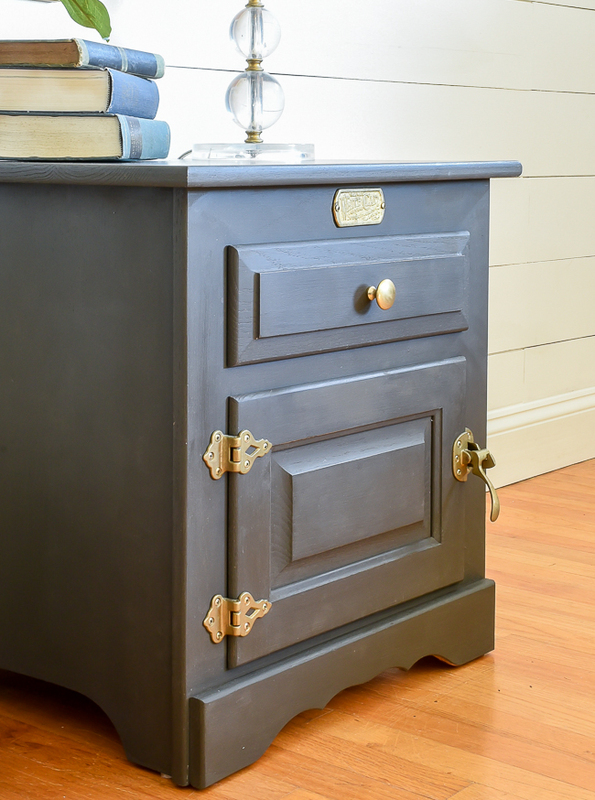 I just painted a lane cedar chest in a similar gray. Congrats on the booth! That sounds like a dream come true to me, too! 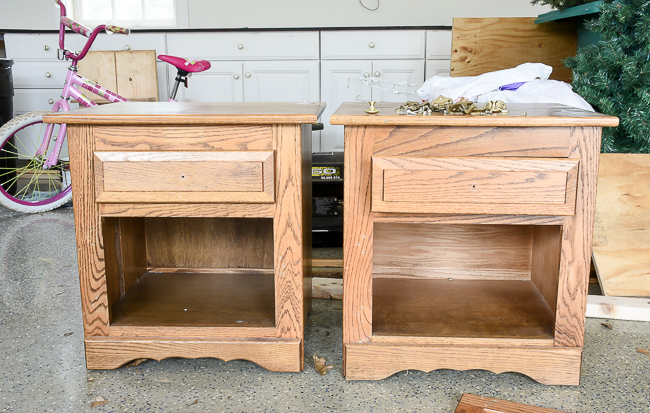 I love what you did to the end tables! I didn't realize you were somewhat close to me. I live in Harford County, Md. I am going to try to visit your booth sometime soon! Hope it goes well! Love going to Sweet Clover. I'll have to look you up the next time I'm there. Congratulations on taking your leap of faith. I never knew you are in MD! I am about an hour or so away from Frederick! Might have to stop by sometime when it isn't snowing, lol! Congratulations on joining the booth! 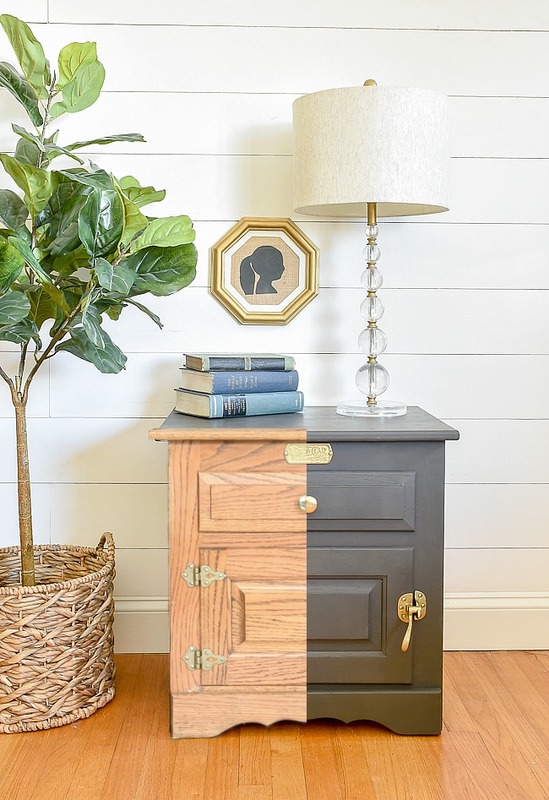 Wow, what a find and great makeover! Congrats on your new "role"....I'm jealous! Wish I was closer but MA is a bit too far away LOL. Thanks for the inspiration.